St. Martin's Griffin, 9780312595371, 400pp. 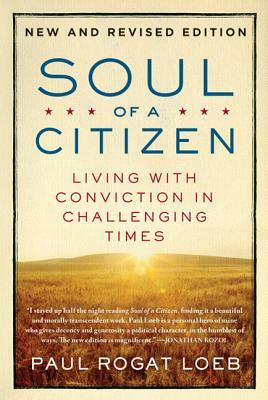 Soul of a Citizen has become the handbook for budding social activists, veteran organizers, and anybody who wants to make a change—big or small—in the world around them. At this critical historical time , Paul Loeb's completely revised edition—and inspiring message—is more urgently important than ever. Paul Rogat Loeb has spent thirty-five years researching and writing about citizen responsibility and empowerment. Paul lectures widely at colleges and conferences and is the author of several widely praised books, including Soul of a Citizen. “A much-needed call for community involvement.” —Art Levine, president, Teachers College, Columbia University.